Watch the video below for an overview of how to setup and use the WordPress plugin, or scroll down for step-by-step written instructions. 1) Once you’ve purchased the Custom Facebook Feed plugin you’ll be presented with the purchase confirmation screen which displays your license key and a link to download the plugin. This information is also emailed to you at the address which you provided during checkout. Take note of your license key and click on the download link to download a zip file of the plugin. 2) Once you’ve downloaded the zip file there’s no need to open it. 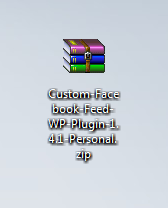 You’ll be uploading and installing this zip file directly to WordPress. 3) If you are using the free version of the WordPress plugin then be sure to deactivate it prior to installing the Pro version. 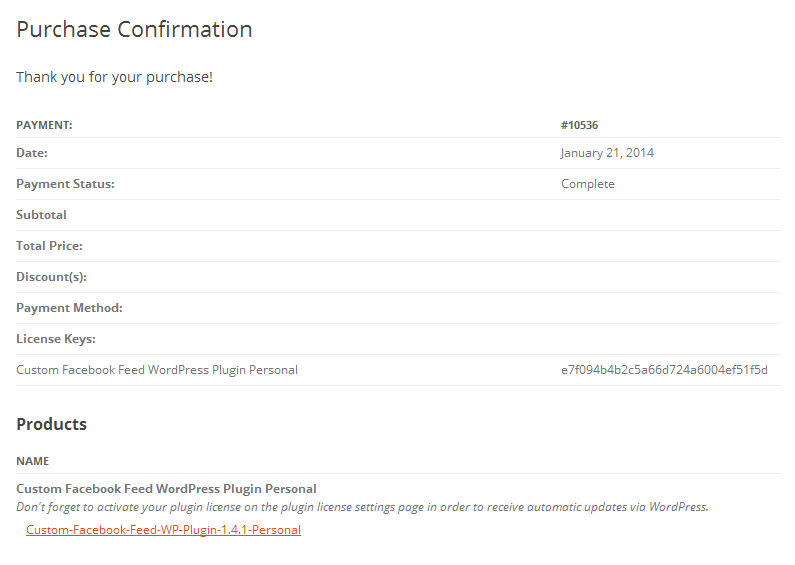 To upload the Pro version of the plugin click Add New at the top of your WordPress Plugins page. 4) Click Upload at the top. 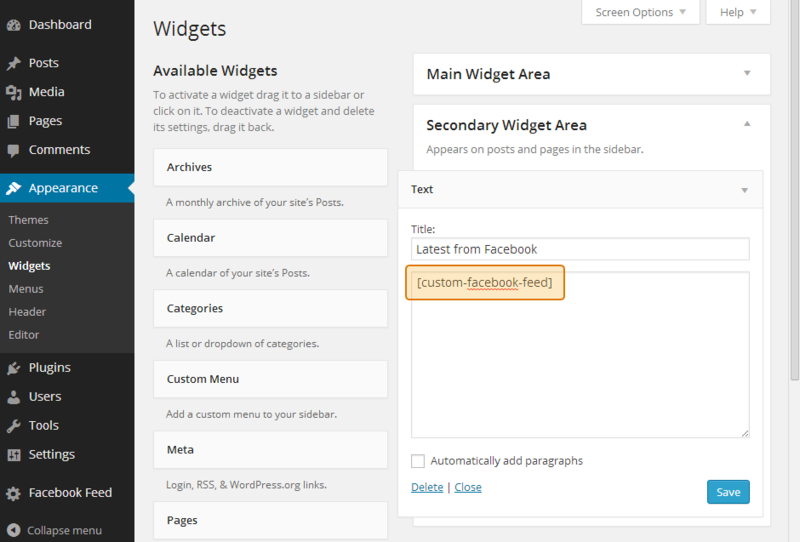 7) You’ll now see the Facebook Feed menu appear in your WordPress menu. Navigate to the Settings page and click on the License tab to enter your license key. 11) You will be redirected to Facebook and if you are not logged in then will be prompted to do so. Once logged in, follow the prompts by clicking the Continue button. 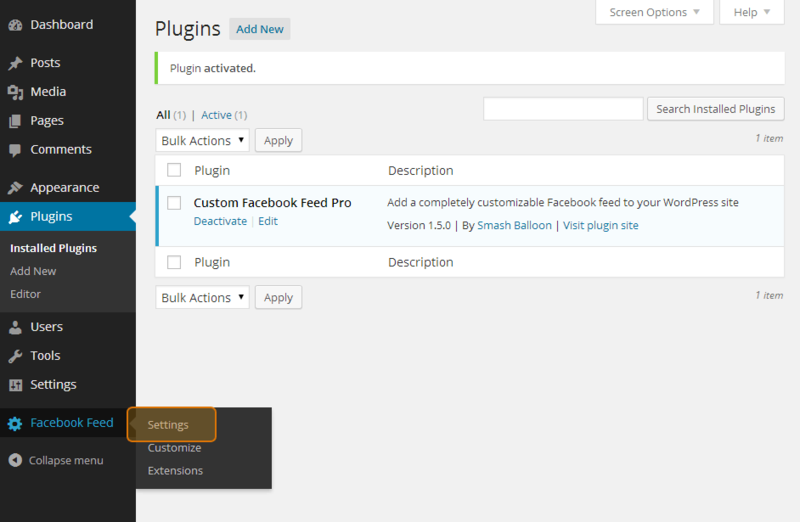 12) Facebook will then ask you to authorize our plugin to “manage your Pages”. Click OK.
13) A list of Facebook pages which you are an admin of will be displayed. Click on any of the pages to retrieve an Access Token. 14) Scroll to the bottom of the settings page and click Save Changes & Clear Cache. 15) To display your feed simply add the [custom-facebook-feed] shortcode to any page, post or widget, as shown below. 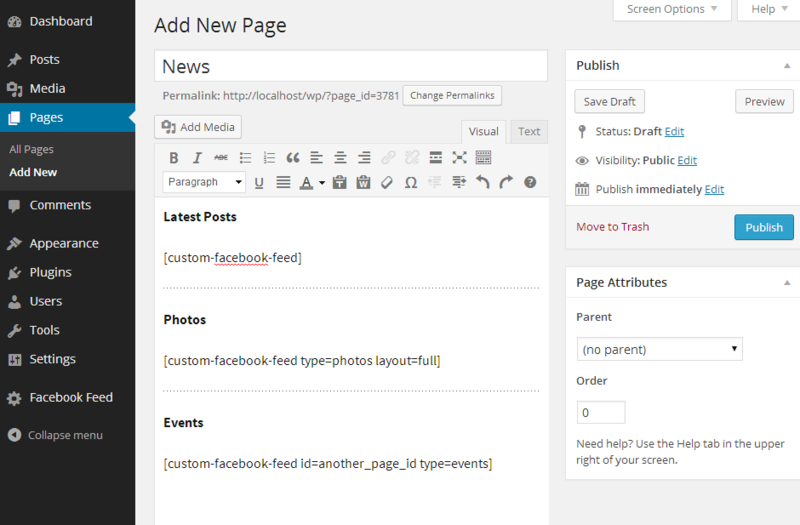 16) You can display multiple Facebook feeds on one page and specify options within the shortcode. Click here for a full list of shortcode options. 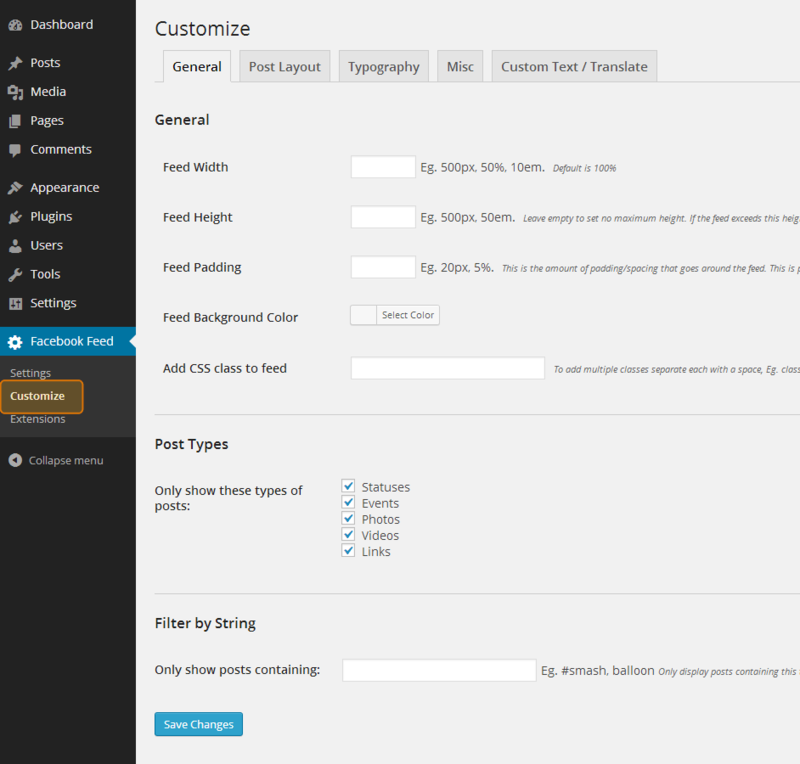 17) Navigate to the Customize page to customize your feed.